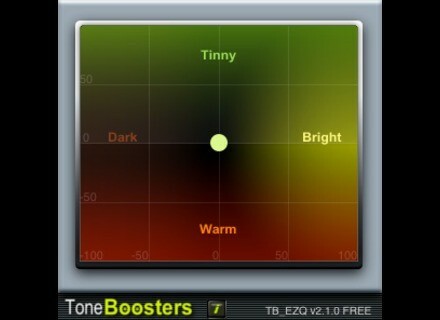 TB EZQ, Other software EQ from ToneBoosters. 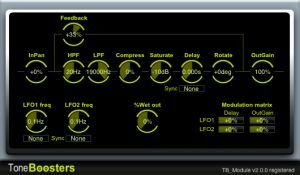 Toneboosters has announced that all its VST plugins have been updated to version 2.1. This includes a new free plug-in, EZQ. Version 2.0, released a few weeks ago, also added a new plug-in called Module, which costs €5.00. 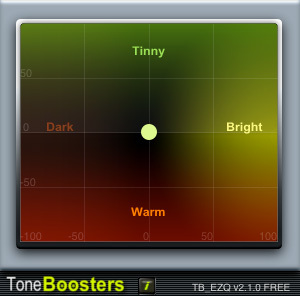 TB EZQ is an audio equalizer with adjective labels designed to optimize ease of use and workflow. 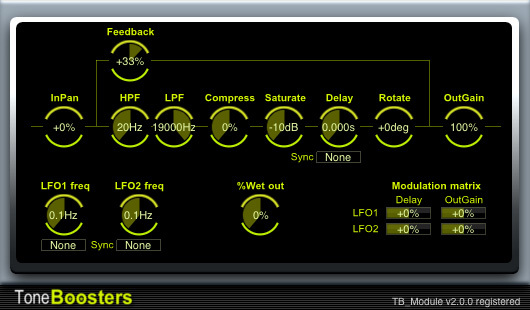 TB Module is a chorus, echo, phaser, tremolo, auto-pan, tape delay... a variety of modulation effects in a single processing framework. All plugins: Minor GUI beautifications. Added new detection time parameter. Added new parameter to set the gate-closed gain. Fixed white space bug in preset names. Extended number of available program slots. Support of additional loudness standards (ITU-R 1770-1, ITU-R 1770-2). Improved accuracy in inter-sample peak (ISP) detection. Barricade: Improved accuracy in inter-sample peak (ISP) detection. Revised and improved algorithm for better audio quality. All plug-ins: Improved internal accuracy. Reduced number of decimals for loudness data to improve readability. Added host play/pause sync button (for hosts that support this function). EBULoudness: First release of EBUCompact stereo loudness meter. TC Helicon Adds inApp for VoiceJam App With the new inApp option, TC-Helicon now allows the users of its VoiceJam app to use reverb modeled from the VoiceTone R1 vocal effects pedal. Native Instruments Maschine 1.7 From September 1st, a new free update for Maschine will be available. Tone2 Morphing Soundset for ElectraX Tone2 Audiosoftware has announced the release of the Morphing soundset for ElectraX.